SonarQube in Action shows developers how to use the SonarQube platform to help them continuously improve their source code. 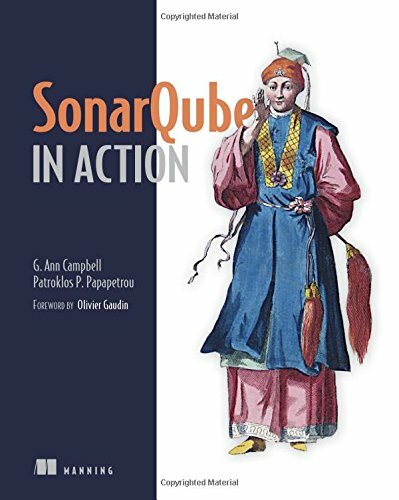 The book presents SonarQube's core Seven Axes of Quality: design/architecture, duplications, comments, unit tests, complexity, potential bugs, and coding rules. You'll find simple, easy-to-follow discussion and examples as you learn to integrate SonarQube into your development process. SonarQube in Action teaches you how to effectively use SonarQube following the continuous inspection model. This practical book systematically explores SonarQube's core Seven Axes of Quality (design, duplications, comments, unit tests, complexity, potential bugs, and coding rules). With well-chosen examples, it helps you learn to use SonarQube's review functionality and IDE integration to implement continuous inspection best practices in your own quality management process. Ann Campbellb and Patroklos Papapetrou are experienced developers and team leaders. Both actively contribute to the SonarQube community.